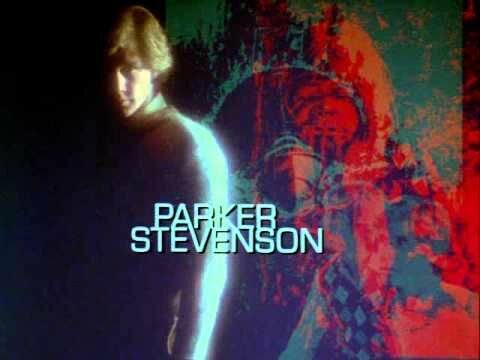 Stolen gems, motorcycles, a mountain, and ‘70s teen heartthrobs Parker Stevenson (Frank) and Shaun Cassidy (Joe) provide an action-packed backdrop for Parker Brothers’ The Hardy Boys Mystery Game: The Secret of Thunder Mountain. The background for the game reads like a script from the crime-drama-lite The Hardy Boys / Nancy Drew Mysteries show, which enjoyed a two-season stint on ABC. In search of stolen gems, the dynamic duo channeled their investigative instincts and hopped on motorcycles to travel up to Thunder Mountain, securing enough evidence to help them solve the crime. Author’s note: we’ll pretend season 3 of the TV series, when the Hardys sold out and worked as professional investigators for the US Justice Department, NEVER happened. In the meantime, enjoy the theme from Season 1 of the show and practice your furtive glances. 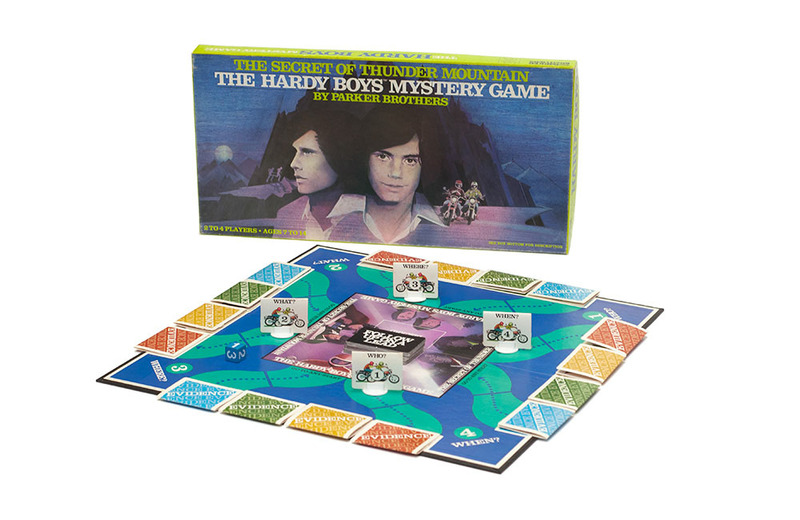 In the game, two to four players assume the role of amateur sleuths and try to duplicate the Hardy’s success by gathering clues and solving the mystery for themselves. Clues are provided in the form of “Follow Up On A Lead” and “Evidence” cards. Each Evidence card is a different colour and has one of the following questions printed on the inside: WHO? WHAT? WHERE? and WHEN? The game pace is quick, making the motorcycle game piece à propos. Players roll a die to move around the game board. The first player to secure all four Evidence cards foils the crime and wins the game. Winning requires a combination of strategy, concentration, and memory – essential attributes required of any detective worth one’s salt!